If you search for “Biogas Information” the chances are that you will end-up at a Leading UK Anaerobic Digestion Information Portal, which is run by consultant NNFCC. In early July 2015 I visited the NNFCC stand while at the UK AD & Biogas show at the NEC, Birmingham , United Kingdom, and I found out more about the company that provides what it describes as “the Official AD Information Portal” (for the UK), which I thought our readers would find interesting. 1. The NNFCC is a ‘not for profit’ company and essentially a consulting organisation. They run the website (www.biogas-info.co.uk) providing reliable and well-informed biogas information. It has been around for just over 5 years, having been set up by them when they won a UK government contract to build, and maintain it. The purpose of the site was then (as we presume it continues to be), provided to help publicize the potential for biogas plants to be developed in the UK, and assist with the renaissance of the UK Anaerobic Digestion industry. 2. They have just recently relaunched their AD website (in 2015), having updated the subject matter, and reduced the content to its core subjects in biogas information, to improve the experience for users. For example, the very useful list of Anaerobic Digestion Plant suppliers, is very useful biogas information. It covers UK and EU suppliers and contractors, is the most comprehensive list available anywhere. However, if you added your company previously do check your listing at http://www.biogas-info.co.uk/resources/suppliers/ . We noticed that although dead links to defunct AD supplier and biogas information websites have been removed in this website update, other details such as phone numbers, and company addresses, can still be out of date. 3. 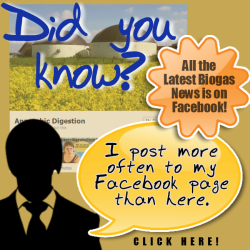 There is no longer any public funding for them to provide biogas information. The site has not been funded by the government for a while, so it is good news that NNFCC will continue to maintain it, albeit in 2015 that was in a somewhat less comprehensive form than previously, when it was government-funded. 4. The www.biogas-info.co.uk suppliers list is a useful resource for many people. Suppliers can still add their company details to the list of Anaerobic Digestion Suppliers for free. 5. The NNFCC provides this biogas information portal, because it is what they call a bio-economy consultant. It is self-styled as, “the UK’s leading bioeconomy consultancy”, and we have no doubt that this description is well-founded. “… a broad blend of skills and industrial backgrounds covering agriculture, biology, environmental science, energy engineering, chemistry, and material and polymer science. This diversity gives us a unique perspective on the development of the bioeconomy, the interaction between energy, fuel and material markets and the importance of environmental and social impacts. 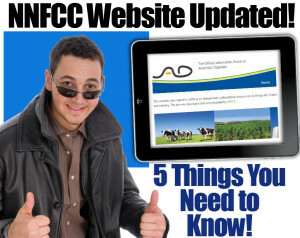 The NNFCC publishes an annual report which is for sale to the public. It is named ‘AD Deployment in the UK‘ and within it they monitor Anaerobic Digestion and Biogas market activity in a biogas information packed document. To find out more about the report and their associated biogas information services visit their website, here http://www.nnfcc.co.uk/bioenergy/ad-deployment-report . “weekly market updates relating to general biogas information, biomass feedstocks, bioenergy, biofuels, etc. If you require more tailored biogas information from them or would like to benefit from some one-to-one support, they also offer a membership service. The current entry-level price at the time of writing this is £80/yr (exclusive of VAT). We understand that NNFCC members at the entry-level can gain access to biogas technical information via emails and their website. Alternatively, for £800 (exclusive of VAT) members receive more one-to-one biogas information tailored to their needs, along with event discounts and most importantly, a days’ worth of consultancy support on anything relating to the bioeconomy. We think that this service would be particularly useful to people who are developing their own Anaerobic Digestion Projects. Biogas can be produced by anaerobic digestion with methanogen or anaerobic organisms, which digest material inside a closed system, or fermentation of biodegradable materials. One main advantage of biogas is the waste reduction potential. Biogas production by anaerobic digestion is popular for treating biodegradable waste because valuable fuel can be produced while destroying disease-causing pathogens and reducing the volume of disposed waste products. Biogas burns more cleanly than coal, and emits less carbon dioxide per unit of energy. The carbon in biogas was recently extracted from the atmosphere by photosynthetic plants. Releasing it back into the atmosphere adds less total atmospheric carbon than burning fossil fuels. 35% CO2. It is a renewable energy resulting from biomass. The biogas information provided on the Biogas-Info website should not only to help to verify the viability, or otherwise of the proposed AD Facility. But, would be likely also to provide biogas information which can be passed on to potential investors as a 3rd party endorsement of the potential for the project. We hope that this article satisfied the expectations we generated from our title of “5 things you need to know about the Leading UK AD Information Portal“, and has proved interesting to you. If so, please “comment”, “like” and “share” this page, as usual. What’s this. Surely a case of pumping up a mediocre web site. Antone can brand themselves official. It doesn’t mean a lot. Unless, of course you represent a highly respected institution.